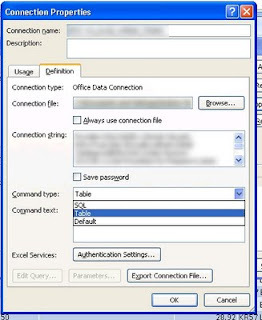 Data Connectors are a very handy way to give office staff access to the data they need from an MS-SQL database without any knowledge of SQL. Where central data is held in MS-SQL databases but the application level is unable to provide all the various summary and analysis functions that fast moving businesses need. Either create views and link the connectors to these or simply link the connectors to SQL statements with a read-only access to the database. Once you have your new data connector saved it's easy to directly edit the .odc files to change the initial catalog, the view that is being accessed and user names etc. 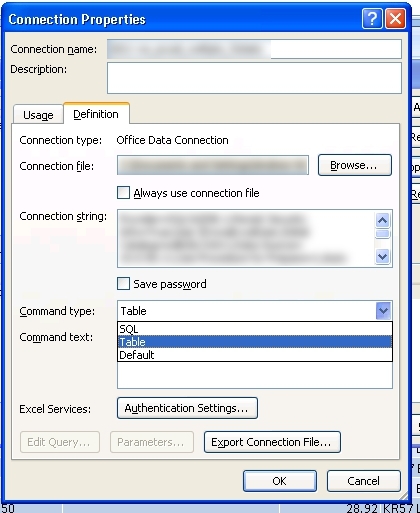 The main advantage of data-connector driven excel models is that the data is refreshed from the primary source either automatically or at the press of a button. Provides as-good-as online access for business analysis or performance monitoring projects with virtually nil development overhead.